It still remains a mystery who will play Hal Jordan in the current live-action DC universe. However, based on some new fan art, it's clear that Tom Cruise would make a fine choice to lead the eventual Green Lantern Corps. movie. Cruise's name has been thrown out previously and while there's no evidence of official talks with the star, it's easy to see why Warner Bros. would look at him as a possible actor to hitch their wagon to. This art comes from BossLogic, who does this sort of thing fairly often. He's using Top Gun as a jumping off point, making the joke that the actor's training as a fighter pilot was really just a secret origin story for Hal Jordan. So, with some Top Gun imagery in the background, we see Cruise decked out as the DC hero, aged down a bit, looking pretty perfect for the part. "We all know #topgun is a Hal Jordan origin story @TomCruise #greenlantern"
One problem with casting Tom Cruise as Hal Jordan for Green Lantern Corps. is that the actor is now 56-years-old. He would easily be pushing 60 by the time the movie actually gets ready to begin filming. Granted, watching Mission: Impossible - Fallout, it's pretty clear the man hasn't really lost his touch for action. However, can Warner Bros. really rely on a man approaching 60 to lead a franchise in the future? Maybe not. So where are we at with Green Lantern in the DC universe? Geoff Johns is penning the script and he recently provided an update. While he admits that it's early on in the process is early, Johns teases that he will be including stuff from his Green Lantern New 52 run in DC Comics. "The truth is I really want to write a great script and get the script right and then we'll talk more about it once we get it really going. I talk about development out there, all the time, and development gets out there and leaks out there. This is something, like Stargirl, is very personal to me. I want to make sure that I write the best script I can possibly write so I need to go away in a cave and write that script and finish it and come out and go, 'Okay!' And work with the guys and make sure we've got the best story to tell and the best way into this character. I think there's a lot of things that people know, my run from Green Lantern, so they shouldn't be too surprised by what we bring into the movie." Warner Bros. decided to rethink their strategy with DC following the release of Justice League. Aquaman is coming out later this year, with Shazam and Wonder Woman 1984 set to arrive in 2019. Green Lantern Corps. doesn't currently have a release date, but it seems to be, at the very least, a couple of years out. 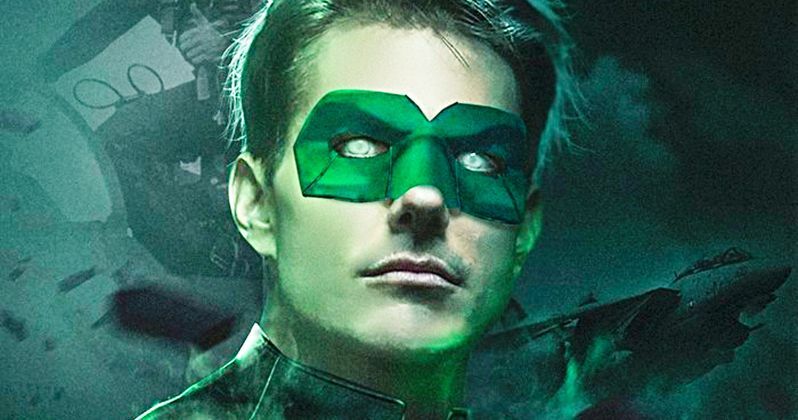 You can check out Tom Cruise as Hal Jordan from BossLogic's Twitter account for yourself below.